The Environment Agency is responsible for overseeing fishing and angling by a system of licensing. Working as a Fisheries Enforcement Officer (FEO) my duties include the enforcement of two important pieces of legislation - the Salmon and Freshwater Fisheries Act (SAFFA) and the Import of Live Fish Act (ILFA). In a nutshell, this legislation covers rod licensing, fishing equipment, seasons/close seasons, national and regional byelaws and fish introductions. Most people don't realise, that as a Fisheries Enforcement Officer, I have the same powers and liabilities as a police constable to uphold the legislation. This means I can arrest and detain offenders, enter lands, stop and search, seize boats, vessels, vehicles and equipment and ask people to show me their rod licences. My work relies very much on information and intelligence which helps me to target rod licence evasion. This is often in the form of rod licence blitzes based on information provided by our fisheries intelligence service. My job is very varied and also covers the enforcement of byelaws such as fish removal and unattended rods, the regulation of the commercial eel fishery and salmon and sea trout fisheries, ILFA regulation - non native species, dealing with illegal traps, netting and set lines and performing fish audits to prevent diseased or illegal introductions. I really enjoy working with angling clubs and other organisations to promote angling and what we do. Recently, we've seen more rod licence evasion so it's really important that we are out there enforcing the legislation. The money raised through the sale of rod licenses is re-invested and enables us to improve all fisheries and rivers for anglers. 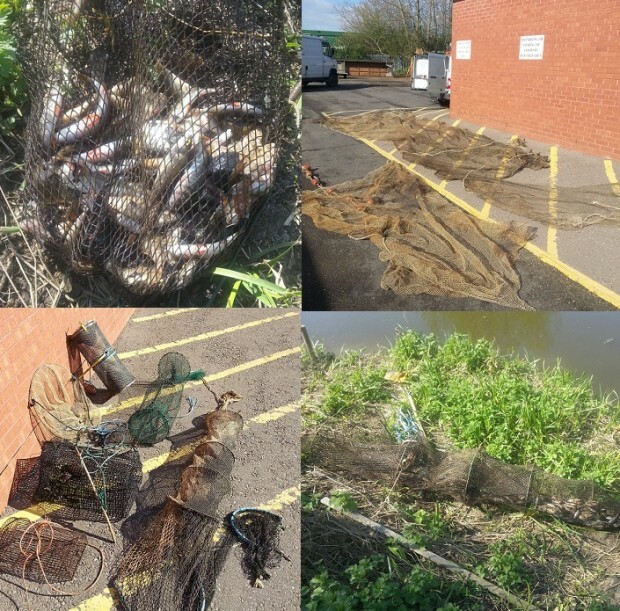 We've also seen an increase in the illegal removal of fish from our rivers and stillwaters. Last month,we received a call to the incident hotline from a member of the public who was concerned that fish were being removed illegally from a river using 'setlines'. A setline is a line that is hooked and baited and left unattended and is an illegal way of fishing. As well as causing suffering to the fish itself it can also cause great harm to other wildlife and the wider environment. We went to the area and arrested a man on the suspicion of using illegal equipment. The equipment and fish were seized as evidence and the man was detained and interviewed under caution. The case now sits with our legal team. This was a great example of work we can achieve to protect the environment and our fisheries when we are supported by the general public and anglers . We always encourage everyone to report any illegal angling activity that they spot on 0800 807060. 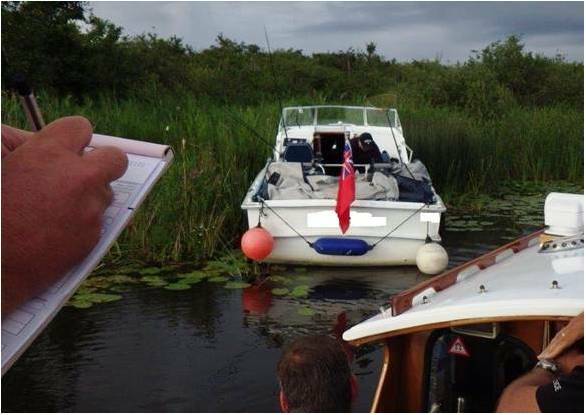 This post is written by an anonymous Fisheries Enforcement Officer. If you want to report any illegal angling activity, please contact the Environment Agency on our 24-hour incident hotline on 0800 807060 or you can report anonymously to Crimestoppers on 0800 555111. I and my colleagues have reported cases of illegal fishing and none have resulted in prosecutions. Words of advice seem to be the most common form of "deterrent". Possibly because some have been in estuaries and some in harbours but if not your problem they could/should have been passed to the correct authorities.